I want to share a simply marvelous video with you from famed nature filmmaker Louie Schwartzberg (who also produces footage for Disney). But before I do, I want to tell you a story that will make the video even more poignant. 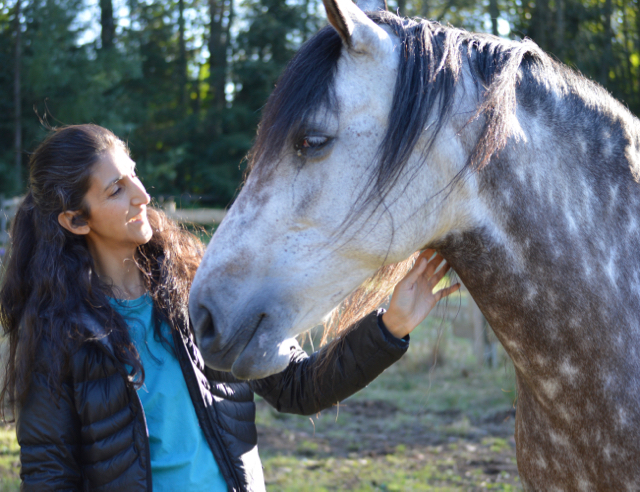 A couple of years ago, my Andalusian mare Zorra had developed gloppy eye mucus and a runny nose after her 3,000 mile trailer ride from New Jersey, USA to Langley, BC, Canada. Yes I got her the biggest box stall on an 18-wheeler air ride truck, with stop-overs along the way. But still, a long, confined trip like that would have even made me sick! So I wasn’t surprised that she was. 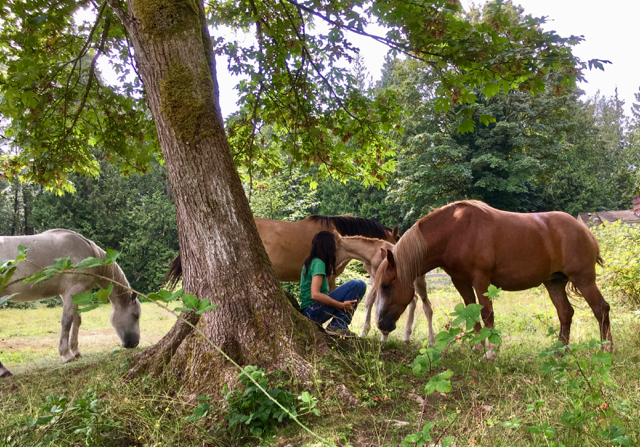 I had her on a blend of Chinese immune support herbs that her former owner had sent along with her (she was given them throughout the trip too) and a few other supplements, but nothing was helping. 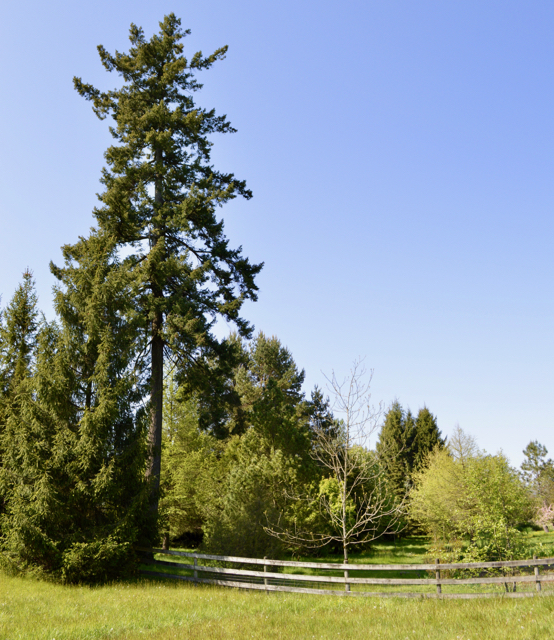 I was drawn to a corner of the pasture that faced this magnificent, towering, 150-year-old Douglas Fir tree. As I ‘plugged in’ to the tree roots under the earth, I saw it was a network, like a web, that extended for miles and miles in every direction. The moment I made contact and hooked myself up to this network, I felt an energy vortex swirl up to surround me. And I kid you not, the actual wind began to swirl around me. With great delight (and more than a little awe) I breathed into this experience, Tree reminded me, “Front and back of your heart”. I then saw this network like a halogen-blue glowing network/web that actually spanned the entire globe! Thinking about it later, I wondered if there was some way the tree roots on land also connected with sea plant roots under the ocean floor. Because I had a real sense that this was not just an energetic network, but an actual physical web of connection. Oh Jini this is a amazing on so many levels. That the tree was able to communicate information that you needed to heal was wonderful. I have always been drawn to trees and nature and literally hug some of the them. We are all connected. The video was great also. There is also a book about this on Amazon. I guess we should be shocked that trees have families but it certainly is a new concept for scientists who have discovered this. I love you blogs. Thanks Jocelyn! And yes, there is so much more knowledge and data now showing/proving the sentience of plants and trees. Imagine that, not just humans and animals, but ALL beings have sentience, feelings, emotions, responses, wisdom etc. 😉 Some of the plant experiments showing that not only do they know who their attacker is, but they get scared when that person comes back in the room are fascinating. I think the book you’re talking about is this one, The Hidden Life Of Trees? And yes, I’ve read part of it, it’s pretty darn cool! Just wanted to add “Big Pa Pa” to the blog…Jini I know you have seen this oak tree before but I thought it might be nice for readers to see him, since he definitely relates to this blog. I felt very drawn to this tree the first time I saw our property & actually felt very privileged at the thought of having this old wise soul on the property and having a chance to be a friend and care taker “not that he needs my help” to this amazing awe inspiring tree.